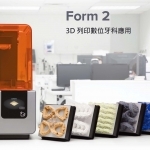 Dental Digital Solution both professional and aesthetic precision manufacturing, to provide you with the industry's leading digital impression service. High-precision instrument production system, so you no longer spend a lot of valuable time to adjust the denture. Professional aesthetic quality control department, so that the product is not only quality, but also has the art of beauty. With the United States the most advanced dental institutions, leading technology industry. From time to time and the University of Washington School of Stomatology, Department of prosthetics, learning, enriching more clinical knowledge. Can receive digital impression file (oral scanner). 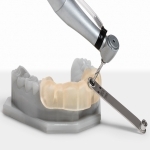 The 3shape dental system is designed for cutting-edge dental techniques and can receive 3shape TRIOS files or design and produce dentures after scanning. 2017 © Dental Digital Solution.